The mosque in front of my building is out of alignment with the buildings around it. Although I’ve been here four months, I am excited by it every time I look out my window. (Sorry for the smudgy photo but this is what happens to windows in highrises exposed to sandstorms.) It looks like two grids crossing at an oblique angle, the articulated grid of the city and the grid implied by the four square walls of the mosque. But that is not what is happening. Mosques are not on a grid. They are in a radial pattern, all pointing to the Kaaba in Mecca. Wherever you are, you have to find the qibla, the direction of prayer. This is not easy to do, especially considering the curvature of the earth. 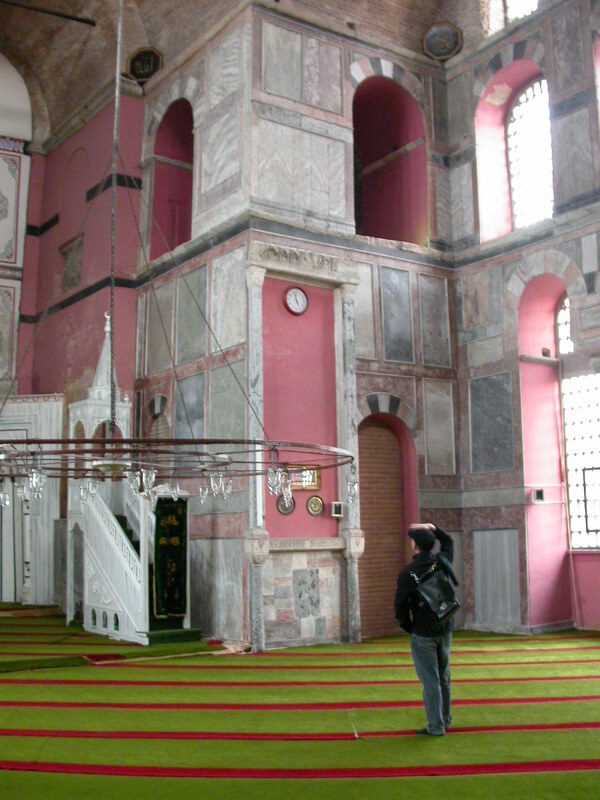 Some early mosques miss the mark, a fascinating fact. That may be because they hadn’t yet sorted out the technicalities, or, as some argue, because they hadn’t agreed that the qibla should be focused on Mecca. For purely sentimental reasons I favor the former explanation. In any case, now it’s easy. You can go to a website and it will tell you how many degrees from north you should point yourself based on your current location. “My” mosque is not simply set on a bias to the grid of the city. The fact of the divergence registers a more dynamic interaction. This building is being pulled out of alignment by a call to which the other buildings remain deaf. The magnetism of mosques poses a contrast to the orientation of churches and constantly takes me by surprise. With some exceptions, the apses of churches point east. You can go so far east it becomes west, but churches keep pointing east. In the Middle Ages, the earthly paradise, the one Adam and Eve were kicked out of, was understood to be at the most easterly point on the earth. Churches proceed from the premise that as long as they are earthly they should point to the paradise that is known, in expectation of the one in heaven. 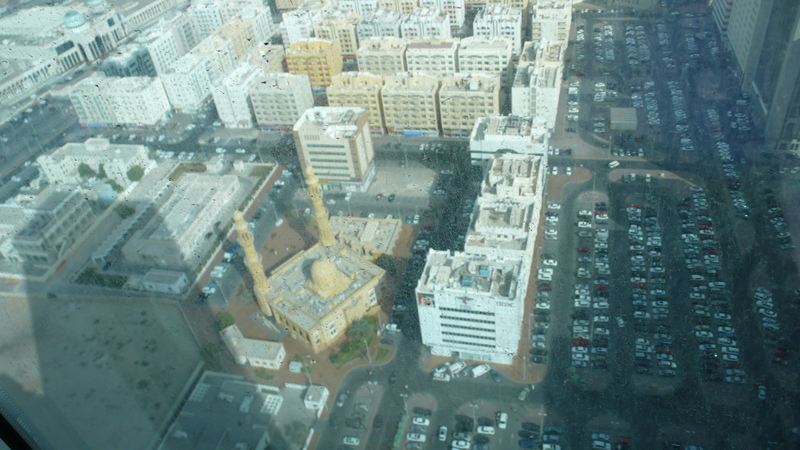 Mosques also point to a known place, though it is true that the Black Stone embedded in one corner of the Kaaba is believed to have fallen from the sky in order to show Adam and Eve where to build the first altar, so in effect mosques point to an extraterrestrial body that has found a place on earth. The carpet looks like it has been installed to align with the principal axis of the former church. But that is a coincidence produced by the fact that Mecca is directly south of here. 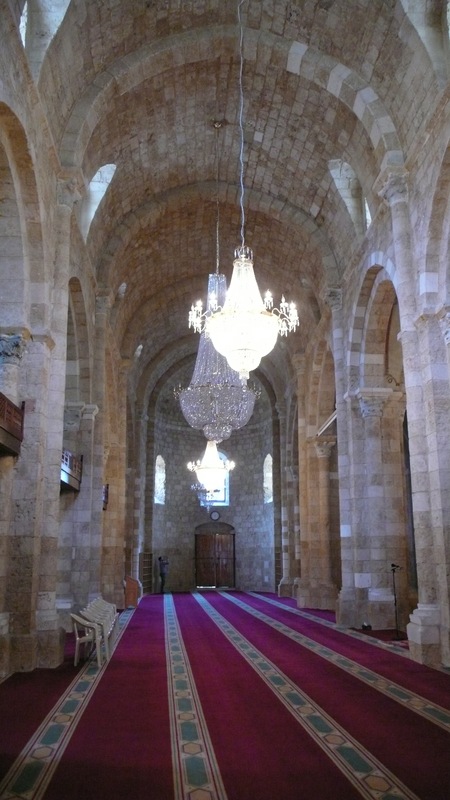 Those bands on the carpet are guiding lines for the feet and knees of praying people. The man at the far end of the photo, standing in the former apse of the church, is in mid-prayer. When you go to Istanbul, Mecca is to the east but not due east. It is south of east. This becomes clear when you look at, say, Kalenderhane, a Byzantine church that was converted into a mosque after the city fell to the Ottoman Turks in 1453. The carpet sets out a very beautiful misalignment. It is a dramatic angle, but nothing so pedestrian and obvious as 45 degrees. It clearly expresses the fact that that sanctuary has been converted, with flair but no unnecessary drama. I would call it a jaunty divergence if it wasn’t very silly to say so. To me it seems that if the angle were any less or more it wouldn’t have quite this “absolute obliquity”–if there is such a concept. ← The Raouché Rock, Beirut.